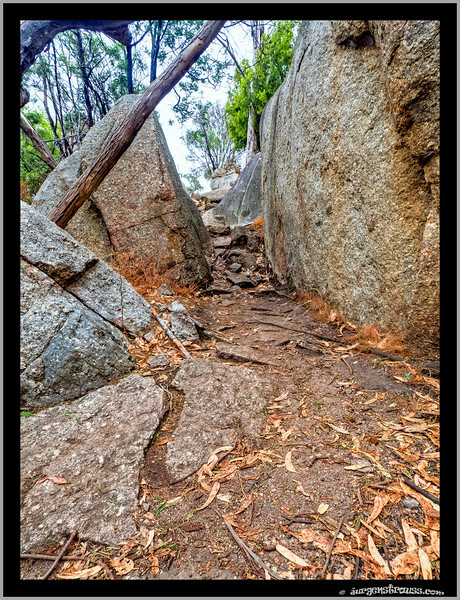 How lucky are we, that the You Yangs Forest Park, is virtually our backyard! 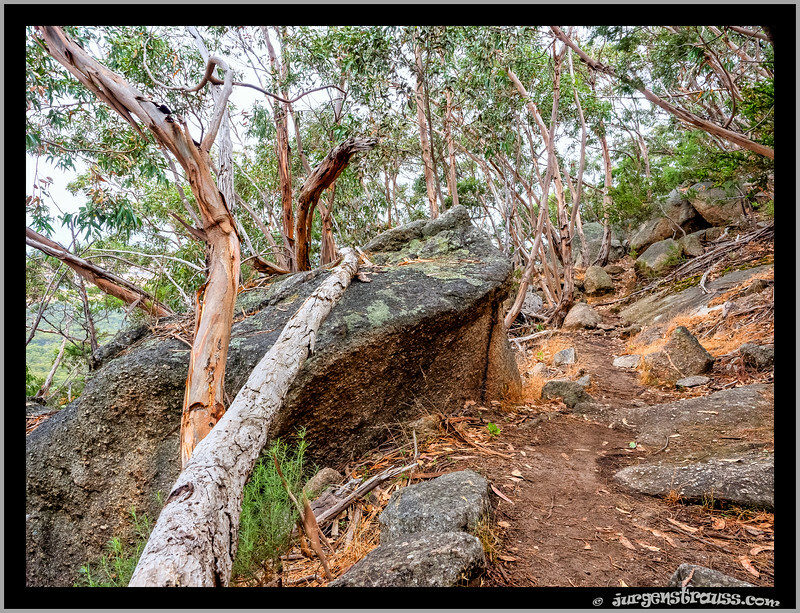 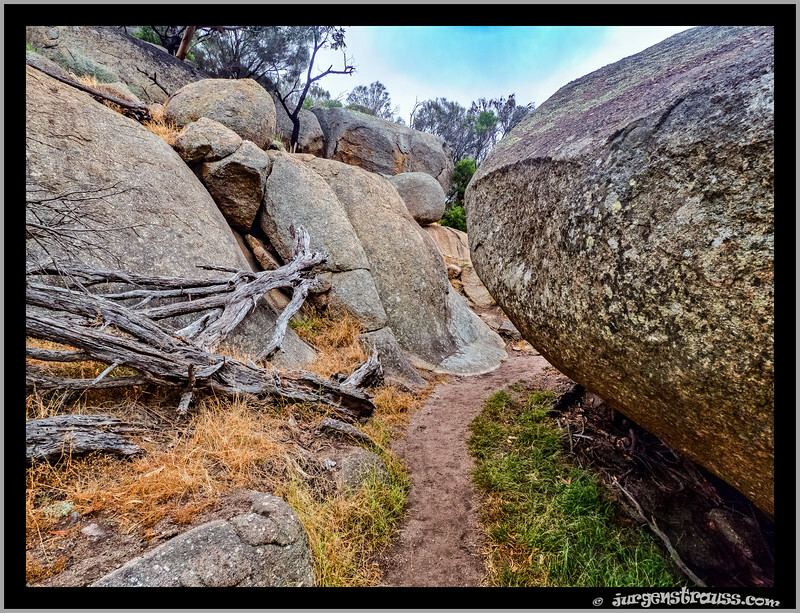 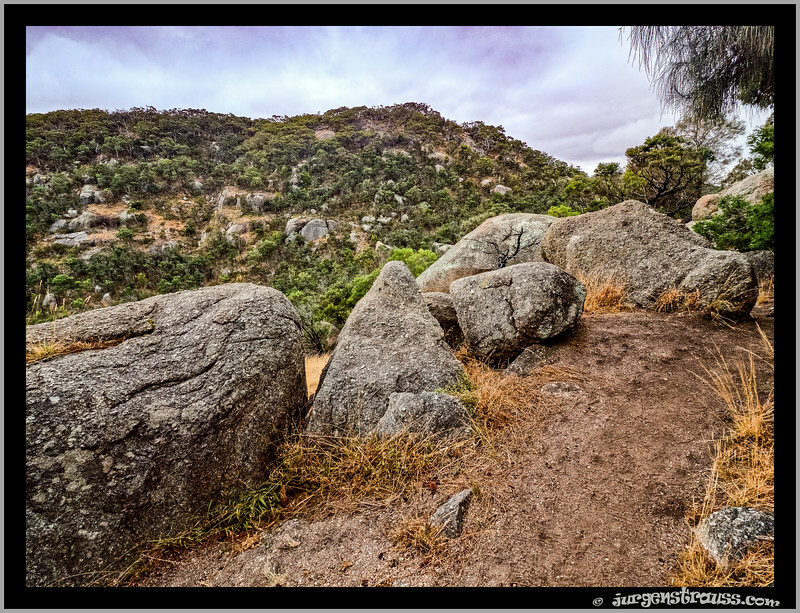 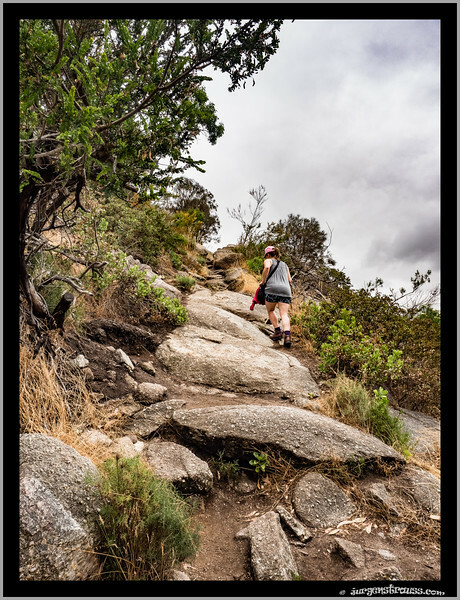 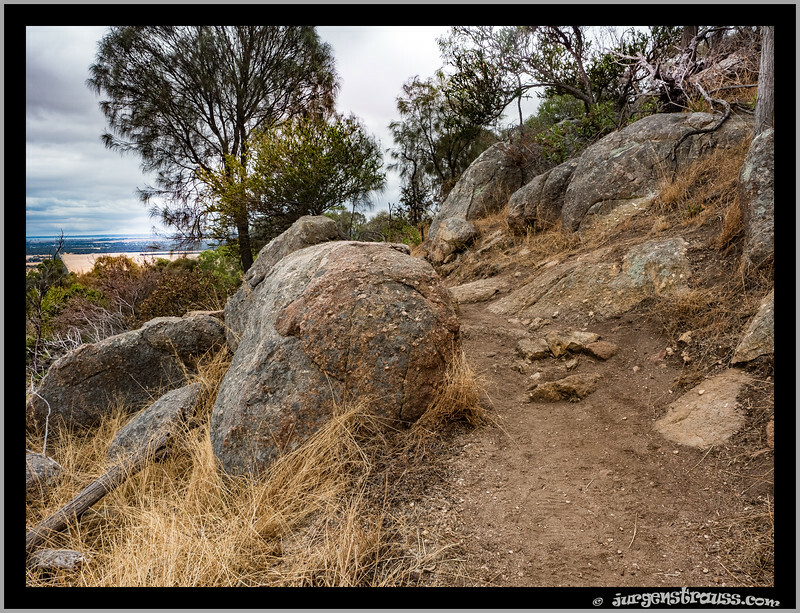 Only 6 km from our home, this series of granite ridges rises to 319 m above the plain at Flinders Peak, and dominates the local landscape, despite the relatively low elevation. 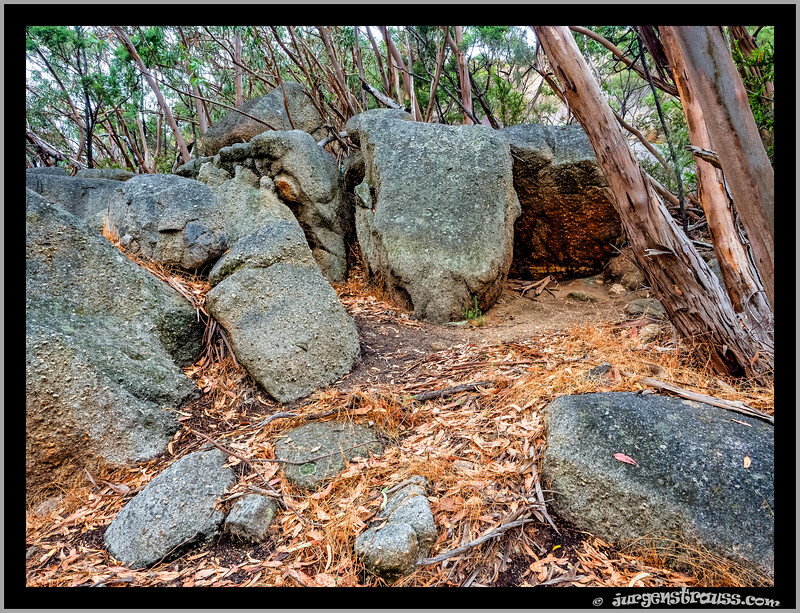 The You Yangs granite formed from a mass of magma that worked its way up into the surrounding sedimentary rocks, and over the millenia, the surrounding rocks eroded leaving the harder granite exposed. 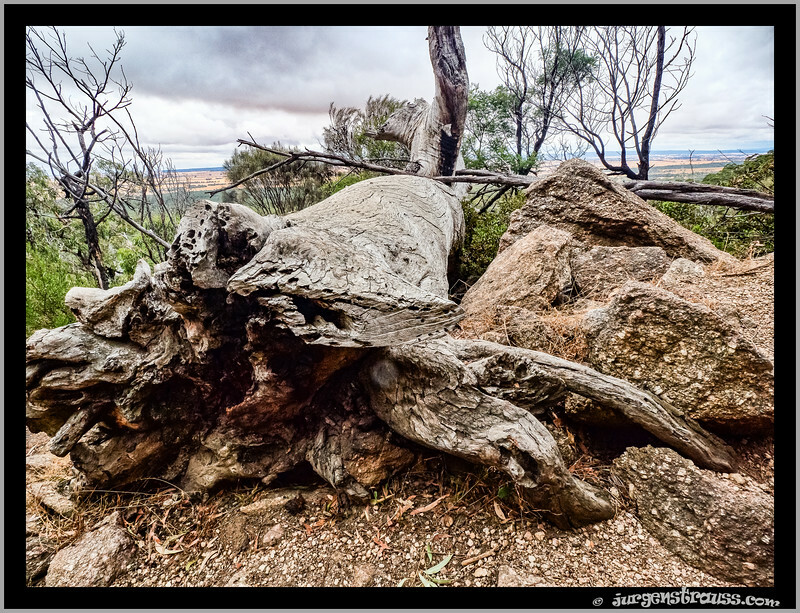 The You Yangs is a relatively dry area, with the vegetation being mainly grassland or low woodland. 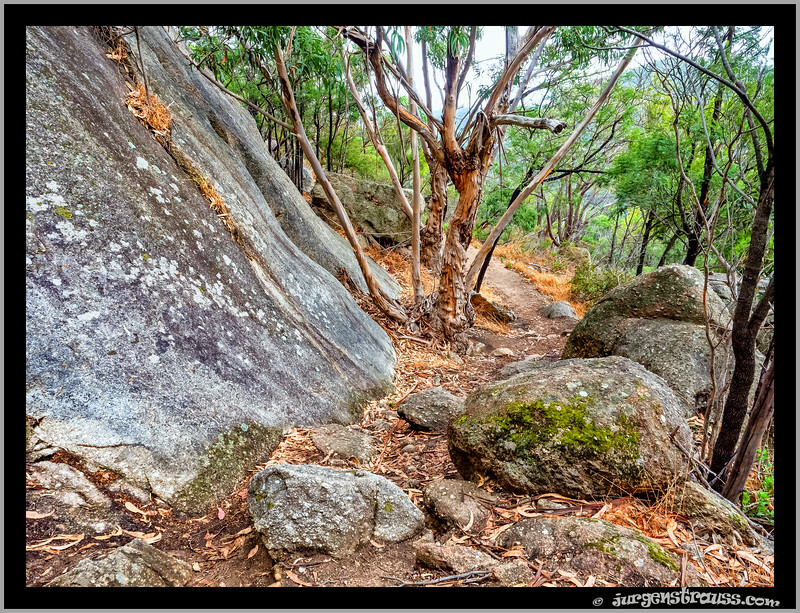 They are home to kangaroos, wallabies, koalas, a variety of birdlife and unfortunately ferral goats, rabbits and foxes. 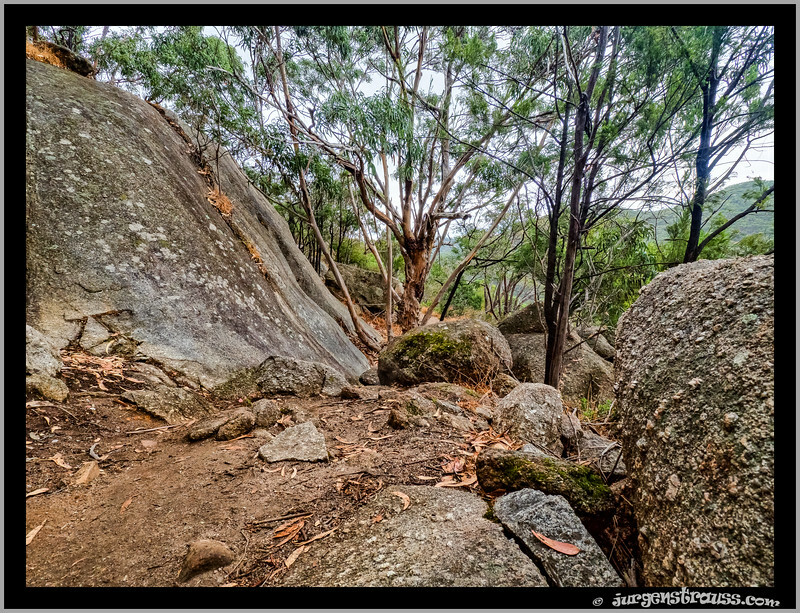 On our New Year's Day walk in 2017, I was inspired to take many photos, here is a sample.